Breaking news! 70% off exclusive for Taichung riders! 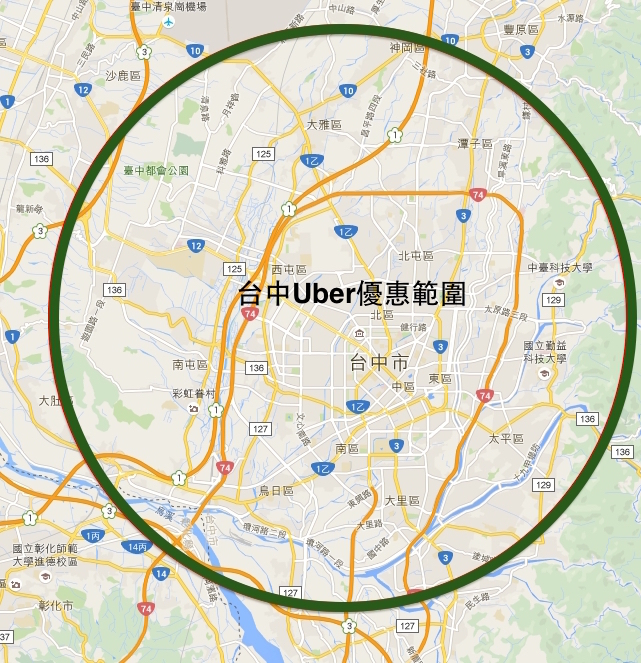 That’s right Taichung – get ready to ride with us! Uber is here to provide you safe and reliable rides at the tap of a button. We are treating Taichung with 3 rides of 70% off, till the end of this weekend (each trip up to NT$250, limited before 2015/11/15 11:59pm, new user promo will be applied first) within the area, and awesome deals throughout the weekend so you can arrive in the ultimate style! 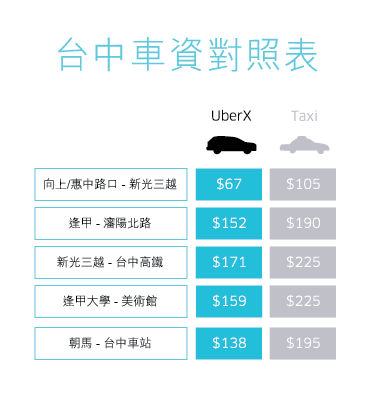 Open your Uber app now to enjoy 70% off all uberX rides in Taichung this weekend! Supply during the promotion weekend will be limited, please keep trying if there’s no car at the moment. Download the App or register here. Register with credit card. The whole experience is cashless and hassle free. Choose your pick-up location, request a ride and track your car in real-time. 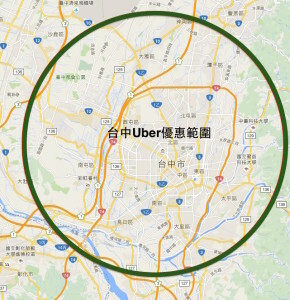 Enjoy you ride with Uber in Taichung!